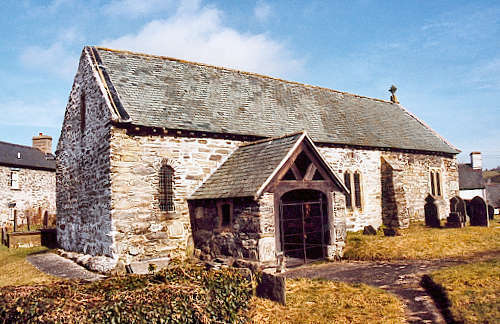 Betws Gwerful Goch is one of the ancient parishes of Merioneth. It has been said that, from the churchyard, it is possible to throw a stone into the parishes of Corwen, Llanfihangel Glyn Myfyr and Gwyddelwern. The first recorded reference to the church was in 1254, but it is likely that there had been a church on the same site for perhaps centuries earlier. The church was restored in 1882. For family history information about the church and parish, visit the GenUKI Betws Gwerful Goch page.